For the first and only time this fall, No. 2 ranked Cal men’s swim (2-0) will compete in its home waters and host No. 4 Stanford (1-0) in a triple-distance meet at Spieker Aquatics Complex on Friday afternoon. After being out of town for four meets thus far, Cal will have the luxury of not having to travel for this swimming exhibition. This is the first of two meets between the two swimming juggernauts, albeit with a caveat. The triple distance meet, unlike the traditional dual-meet and invitation-style format, splits swimmers into three tracks – sprints, individual medleys and distance freestyles. Each track has its own distance designation, with sprinters swimming 50, 100 and 200-yard races of one of the four strokes, IMs swimming 100, 200 and 400-yard races and distance freestylers swimming 200, 500 and 1000-yard races. Each swimmer will be ranked by aggregate time for all three races. Capping the event off are two relay races in the 200 medley and free. It’s been three weeks since Cal competed in their last meet, which were split squad wins at Pacific and Utah. The Bears will have their hands full with fourth-ranked Stanford, who are the two-time defending Pac-12 champions. The Cardinal, now led by sixth-year head coach Ted Knapp, have always had an elite program, with eight NCAA championships in total. 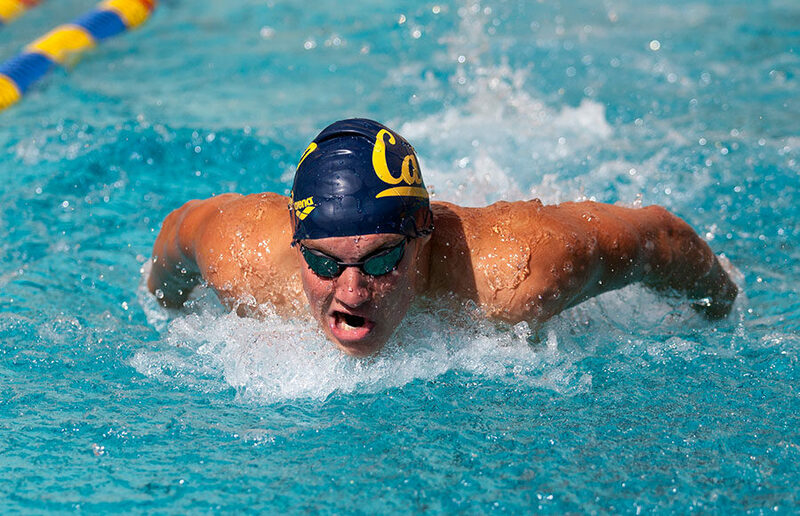 Cal has had the Cardinal’s number the last five years, however, claiming victories in each of their dual meets, dating back to the 2012-13 season. These two teams are no stranger to each other. Two weeks ago, swimmers from both squads teamed up to defeat members of Team USA in Los Angeles, 326.5-286.5. Cardinal senior Sam Perry and Bears sophomore Michael Jensen swam the first and third legs in the 400 free relay for the Pac-12 squad. 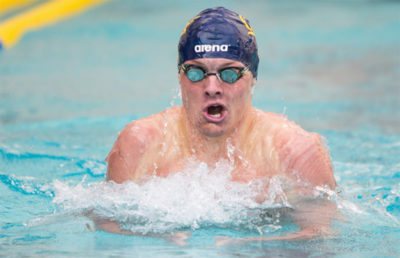 Bear junior Andrew Seliskar had an impressive individual win, barely squeezing in front of former Bear Josh Prenot in the 400 IM by five-hundredths of a second. Two weeks ago, they were teammates. Two weeks later, they look to renew their rivalry in the bay. Well rested and well prepared, Seliskar and company will look to defend their waters.